DermaConcepts, exclusive USA Distributor of Environ Skin Care, provides results-driven at-home and professional treatment products and technology, backed by clinical studies and science, that are a generation ahead of other skin care companies. Vitamin A, their cornerstone ingredient, along with vitamins C, E, antioxidants, peptides, hydroxy acids, growth factors and HA, are incorporated into their proprietary STEP-UP SYSTEM, created to help patients be more comfortable with increasing levels of ingredients to assist in restoring, protecting and maintaining the appearance of a healthy-, youthful-looking and beautiful skin. Environ has its own state-of-the art manufacturing facility and has been awarded the Swiss Vitamin Institute logo, verifying the strength and effectiveness of their vitamin A moisturizers and serums. DermaConcepts provides industry leading education, marketing support and an innovative business model, guaranteeing ROI results for a practice and outstanding patient satisfaction. DermaConcepts/Environ Skin Care offers over 600 in person educational and professional development programs throughout the United States. 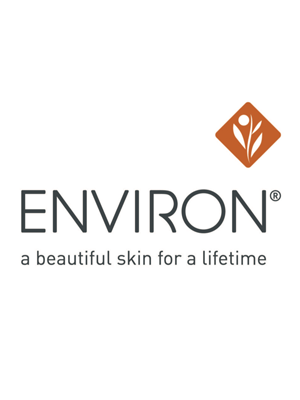 Environ Skin Care has been awarded over 100 recognitions for outstanding products worldwide. It is also certified by the Swiss Vitamin Institute for formula integrity. It is one of the few high end pharmaceutical grade skin care brands that owns its own certified manufacturing facility that meets OTC requirements. It's 230 person factory staff only makes its own branded products. "The products give our clients great results and no irritation. It is a destination line and is not sold online." "I believe in the science behind it and I have seen amazing results on my clients. Most people tried to resist in trying something new, I am one of those people; but, after trying Environ I can't live without it. I recommend it to my clients and they love it. Many other companies try to mimic Environ and nothing comes close." "Here at Haven Medi-Spa we have carried Environ Skincare for 8 years and have seen dramatic changes in our clients' skin. The high level of continued esthetic training is unmatched by any other esthetic line we have carried. Environ works side by side with us educating our staff to become knowledgeable skincare specialists. We could not ask for a better business partner and educator." "I recommend Environ products because they work, go a long way for the money and people notice a difference in their skin! Environ has benefited my practice by increasing my ROI, revenue, client retention, and new clients. The best thing about Environ, it is good for your skin and makes it beautiful and healthy." "We believe that Environ's unique formulation of vitamins offers our patients an easy to use step up system that truly makes a difference in their skin. In addition, we are very happy with the education we receive and are able to pass on to our patients. This skin care line is the only one that has proven results that patients can count on."